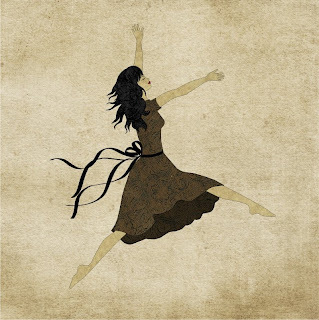 Here's my submission for this weeks' Illustration Friday theme of "leap"
what a graceful illustration. Beautifully done. I love the textures in this illustration. very lovely indeed. i like colors and textures! What nice tones! Like an old sepia photograph. Great work. I really like the dancers you've been posting! And I've always loved your colors too. Lovely piece, a very delicate scene with great use of muted colours and texture. Beautiful illustration. I just love the colours and the movement! Oh Ursula, she is sooo beautiful! Beautiful! I can not help thinking about spring. This will be how I'll feel - after all these snow are gone! Nice blog! Lovely works here including this one!